Discussion in 'Completed Pin Sales' started by starry_solo, Nov 21, 2018. $50 SHIPPED USA - SURPRISE pin release! This is about as good as my PhotoShop skills will do. LOL. 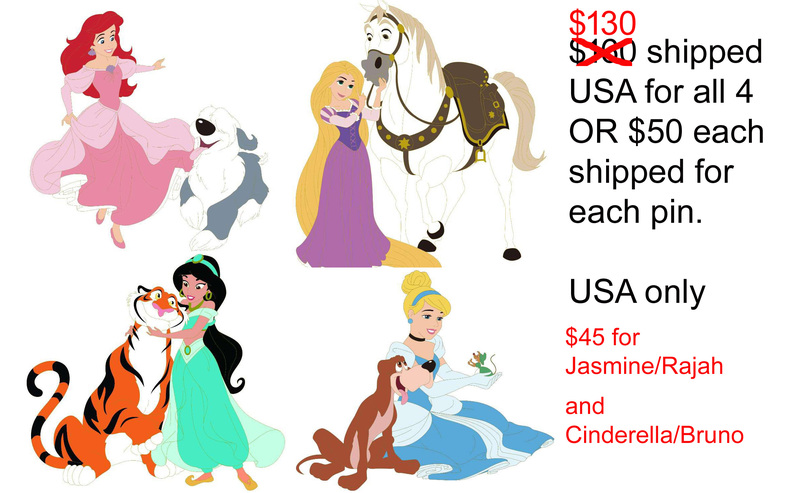 If selling separate, can I get a Jasmine and Rajah. Thanks! 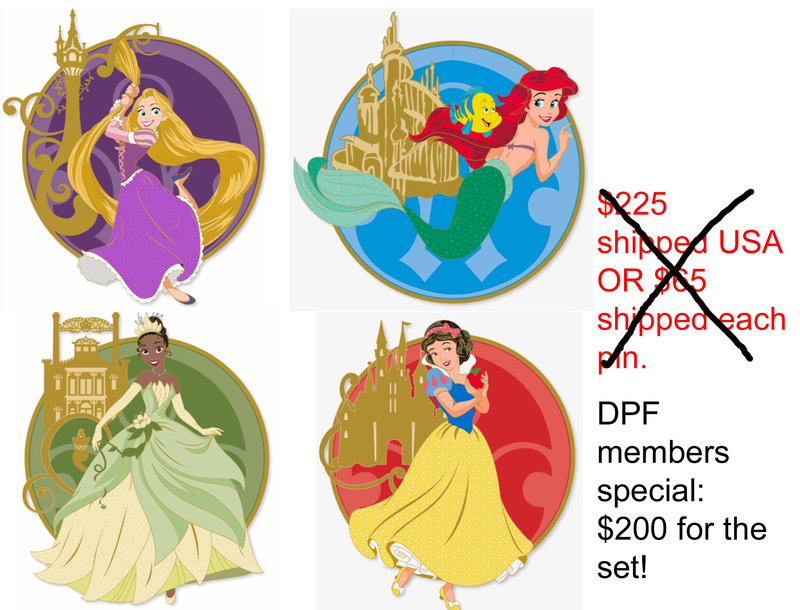 Interested in the princesses with pets set- what are you selling it at for DPF members? What size is the pin with all the princesses? It's supposed to be a jumbo pin. Size unknown but I will ask. Book did you need something? OK, invoices have been sent! Were the two Ariel pins taken? @starry_solo? Hi: i'm interested in the surprise pin if available. Unfortunately, I didn't have access to DPF while at the event (only the FB page)...hopefully that will get resolved today when I activate my new phone!